MASTER HALCO is the #1 fence product manufacturer and distributor in North America. Our chain link fence is a durable, low-cost easy-to-install and low-maintenance way to secure your property, and keep your children and pets safe. 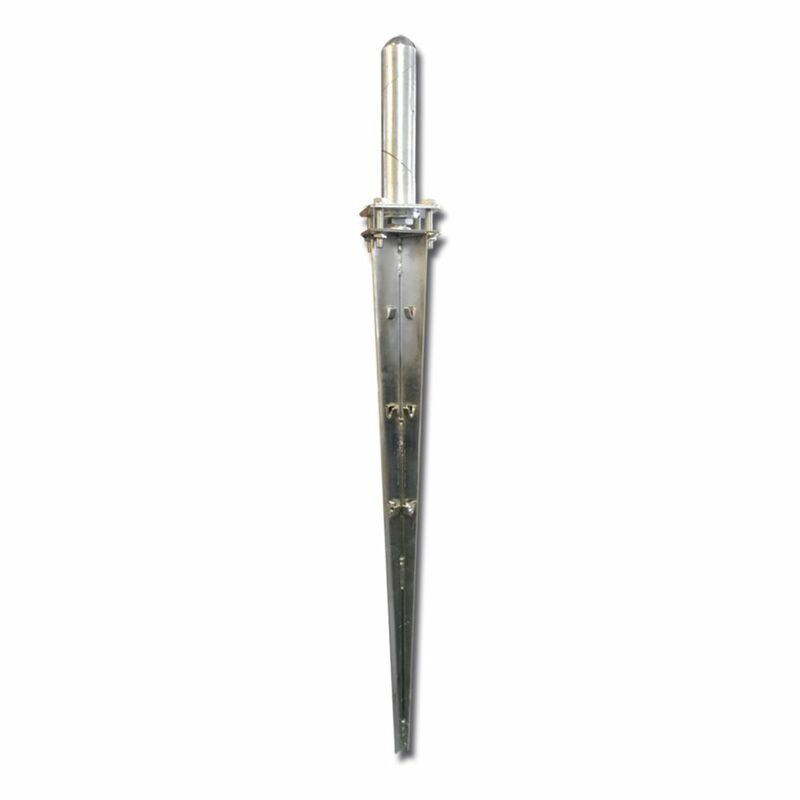 Ground Spike Adjustable Spytek 112-158-Fits 1 1/2 Inch. - 1 5/8 Inch. Round Post is rated 3.7 out of 5 by 3. Rated 5 out of 5 by John from good spike Very happy with spike. Able to secure pole into ground for bird feeder pole. Rated 4 out of 5 by meitis from Does the job Good: Got those to save some work, and the ground at the time was still partly frozen. They actually were easy to put in the ground, with no deformation of the spike wedges. The 4 screws attachments are great for levelling and can be revised if the spikes shift in the future, The main spike connection holds on to the post pretty good. Cons: There is some flex, as opposed to concrete base however it is minimal. The main retaining bolt is a pressure type, and I was initially having issues setting it tight, until I removed the (**do not remove plastic wrapping**) and used an impact hammer to tighten the bolt to the posts. Overall It is a fair deal, and is worth the difference in price between a concrete bag for the saved labour.